As Founder of Fusion2e, Adriane has provided consultation services to international institutions, regional organizations, small to mid-sized businesses, Tribal communities and neighborhood councils since 1998. Her recommendations are informed by 19 years of experience in the utility and natural gas industry, seven years of tribal environmental management, and more than 10 years as an independent advisor. 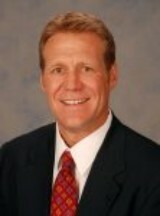 Gordon is a retired partner from Coopers & Lybrand where he worked for 34 years and served as a managing partner for 17. Following retirement, Gordon formed Budke Consulting and provides assistance to small and growing companies. He serves as a member of the board of directors for Yokes Foods, on the Audit Committee and as Chair of the Compensation Committee. He also works with Banner Bank, where he is on the executive committee, risk committee and chair of the audit committee. He is a member of the Washington Society of CPAs and the American Institute of CPAs. He continues his 30 years of service with Junior Achievement, serving on its Eastern Washington/Northern Idaho board. His extensive service at Eastern Washington University is now service on the EWU Foundation Board and as Chair of its Audit Committee. He and spouse Rhoda travel extensively seeking warmer climates in the winter. 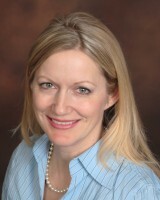 Rebecca Bull Schaefer (2017)Dr. Rebecca A. Bull Schaefer is a tenured Associate Professor of Management at Gonzaga University’s School of Business Administration. She earned her B.S. in Business Administration from Bradley University and her Ph.D. in Organizational Behavior and Human Resource Management at Purdue University. Her professional experience is in direct sales, recruitment, and consulting. Rebecca’s research focuses on employee reactions to HR-related policies and how those reactions affect personal and professional decisions. Dr. Bull Schaefer currently teaches undergraduate and MBA classes in management, employment law, compensation, performance appraisal, team dynamics, emotional intelligence, and negotiations. She is the faculty advisor for the student chapter of SHRM (Society for Human Resource Management) at Gonzaga, the Chair of the SBA’s HRM concentration advisory board, and a member of the Board of Trustees for Vanessa Behan Crisis Nursery. Chrissy oversees programs/projects with students’ development while in college including peer services, placement and proctor testing services, academic early alert, new student orientation and counseling/advising. She also is involved with local, state and national professional organizations such as the State of Washington’s Advising and Counseling Council, NASPA and NACADA. She is a board member for the Inland Northwest Juneteenth Coalition, Leadership Development for Children of the Dream, as well as the African American Graduation Committee for the Spokane Area. She also is an active and passionate member of Big Brothers/Big Sisters and served over 12 years as a Big Sister in Wyoming, Kansas, Colorado and Texas. Mike has been working as an Electrical Engineer at Avista since 2008. He grew up in the Spokane area and graduated from Washington State University. Since the 1980s, Patrick has nurtured his business and developed a great line of services that are growing by the day. With 40 employees and counting, DeVries Business Services is creating some good jobs and offers compensation and benefits that enable its employees to support their families. DeVries is prepared and certified to help with qualified staff and an array of tools to do the job. Erick has lived in Spokane for over 20 years and is a proud to call himself a “Spokanite!" 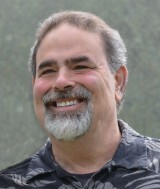 Erick brings more than 25 years of financial recruiting to Provisional’s Accounting recruiting division. His recruiting expertise includes both public and private accounting industry searches. In addition to his recruiting role, Erick assists in client development and retention in the Eastern Washington and North Idaho areas. Previously, Erick had a colorful and exciting career in public accounting in Seattle and Boston. Erick holds a B.A. in Finance from the University of Washington and an M.B.A. in Accounting from Seattle University. Erick is also an inactive Certified Public Accountant and a SHRM Senior Certified Professional. Family and international travel are his two most cherished activities. 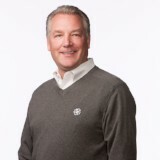 John Finnegan (2012)Budinger & Associates, Inc.
John is CEO of Spokane-based geotechnical and environmental engineering company Budinger and Associates, Inc., with 30 employees, which is now in its 40th year. He married up and is the father of three wonderful children. John is licensed in four states and holds specialty registrations in geotech and hydrogeology. He has served on the Leadership Spokane Board. He was named Engineer of Merit in 2011 out of 600 members of the Inland Empire section of the American Society of Civil Engineers. He is also a private pilot and soccer referee. 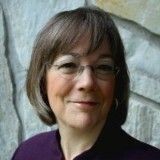 Linda was Executive Director of Leadership Spokane from 1999 to 2014. She has been a contributing writer to Spokane Coeur d’Alene Magazine and Inland Business Catalyst Magazine for the past several years. Prior to moving to Spokane, Linda worked in Seattle for two nonprofits as Community Relations Director and Development Director and served on the staff of two business journals, The Journal of Contemporary Business and The Journal of Financial & Quantitative Analysis. Her volunteer work in Spokane has included the Martin Luther King, Jr. Celebration, Spokane Arts Commission, St. John’s Cathedral Chapter, Cathedral and the Arts, Washington Nonprofits, Executive Alliance, Women Helping Women Board, judge for Chase Youth Commission, Executive Women International Scholarship, Washington Business Week, Invent Washington, Distinguished Young Women of Post Falls, and presenter/trainer for a variety of organizations. 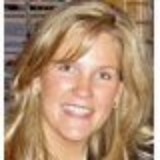 Prior to working for Providence Foundation, Colleen was the Director of Development and Communications for Ronald McDonald House Charities of the Inland Northwest and also worked for Gonzaga University in Marketing and Recruiting. Colleen is a graduate of Gonzaga University and has earned a Certificate in Fundraising Management from the University of Indiana. She is currently working on her Masters in Communication and Leadership from Gonzaga. Colleen is happily married and the mother of twins, Jack and Hannah. 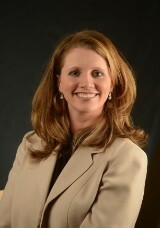 She also serves on the Board of Directors for the Chase Youth Foundation. 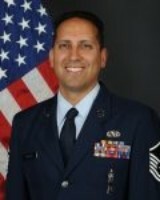 Brian is a Senior Non-Commissioned Officer for the Washington Air National Guard. During his 20 year military career he has worked as a cruise missile maintainer, electronics instructor, avionics technician, and nondestructive inspection technician. His current role involves inspecting critical aircraft structures for cracks and metal fatigue on the KC135 Stratotanker. Brian is a member of the “Top 3” board of directors, Vice President of Education for a local Toastmasters club, and President of his home owners association. 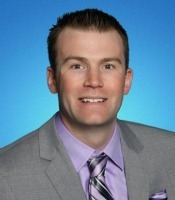 Brian graduated with an MBA from the University of La Verne in California before moving to Spokane in 2005. He is also a green belt certified Lean facilitator, private pilot, and all around great guy! Mimi has extensive experience in the hospitality industry, a career which has taken her from the Northeast to the Northwest. 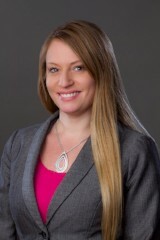 Most recently the Director of Resort Sales and Strategic Partnerships for Northern Quest Resort & Casino, she now works as the Director of Sales and Marketing at Sage Hospitality. Carrie Hoag (2017)Carrie is an Inside Sales Executive for Travelers Insurance in Spokane. Carrie previously worked at Premera Blue Cross where she began her career as a Customer Service Representative before promoting to a Quality Auditor. She spent the last 6 years serving teams of 8-85 as a Team Leader, then Manager for National Accounts Customer Service. She and her husband also own C&S Construction, specializing in steel structures and pole buildings. A native to Spokane, she graduated with a bachelor’s degree in Organizational Management from Whitworth in 2012 (GO PIRATES!). She is a 2017 Leadership Spokane graduate, as well as a Leadership Spokane Legacy Society member. Carrie is currently completing a certificate in Women’s Leadership from Gonzaga (GO ZAGS!). She is a dedicated community volunteer, and is a member of the West End ATV Club, as well as the Mineral County Historical Society. 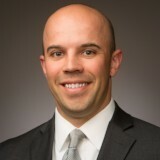 Drew has lived in the greater Spokane area for the past 10 years and is a 2006 graduate of Whitworth University majoring in Business Management with a minor in Leadership. He is involved in many local organizations including Spokane Society of Young Professionals, Leadership Coeur d’Alene, Leadership Spokane, El Katif Shriners, Waverly Masonic Lodge, and serves on the Chase Youth Commission Board and Washington Epsilon Housing Board. 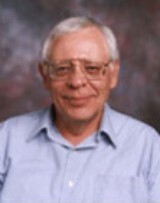 He is also a member of Greater Spokane Incorporated and the Coeur d’Alene Chamber of Commerce. He enjoys the relationships he shares with his clients and helping them find the perfect level of coverage for their families. Matt currently splits his work time between Providence Health Care and the University of Washington School Of Medicine (UWSOM) in Spokane. At Providence, he works for Providence Internal Medicine Residency Clinic, based at the Spokane Teaching Health Center, where he is Associate Program Director. At UWSOM in Spokane, he directs the faculty group responsible for teaching clinical skills to medical students. A graduate of Lewis and Clark High School, he left Spokane to attend the University of Washington. Subsequently, he received his medical degree from UWSOM then completed residency in internal medicine in UWSOMʼs Boise Primary Care track. Remaining at UW, he completed his Masters in Public Health then joined the Department of Medicine faculty in 1999 where he remained until June 2008. In 2008, he returned to Spokane with his wife Cindy and two boys. 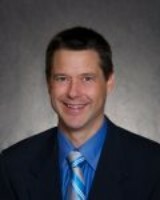 He is a Past-President of The Spokane Society of Internal Medicine and the Spokane County Medical Society. He has previously served on the City of Spokaneʼs Bicycle Advisory Board. He currently serves on the Executive Committee for the Washington State Chapter of the American College of Physicians as well as the Board of Trustees for the Washington State Medical Association. Dalene Kersey-Patterson has lived in Spokane for over 26 years. She is a Managing Partner/Franchisee with Phenix Salon Suites. She is also a Realtor with The Legacy Group, at Keller Williams Realty. Prior to these careers, Dalene worked for the Spokane County Sheriff Department for 10 years. While with the Sheriffs Dept. Dalene served with the Honor Guard, and taught classes in the in-house academy. Dalene graduated from Leadership Spokane in 2009. She went on to serve on the Board of Directors, and served as the Board Chair in 2013-14. She continues to serve on the Board today. Dalene is also Vice President of Breakthrough Inc.
She is the proud mother of four children and had her first child at the age of 16. Dalene holds a very special and real understanding for what young girls go through when faced with a similar situation. She considers this one of her biggest successes and has raised her children to work hard, be good citizens, and always help others. Dalene knows, by experience, that balancing careers, family, and serving the community can be challenging, but she holds them with high importance, and knows the balancing act is always rewarding. 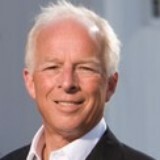 Lance is the Associate Vice President of Strategic Communications and Marketing at Eastern Washington University. Previous employment included marketing roles at STCU and Pacific University, as well as adjunct teaching at EWU and Whitworth University. Lance earned his bachelor’s degree in graphic communications from EWU in 2004 and his master’s degree in communications from EWU in 2010. Currently, Lance serves as the vice chair of the City of Spokane Human Rights Commission, chair of the EWU College of Business and Public Administration advisory board, member of the EWU Diversity & Inclusivity advisory board. Past board experience includes INBA, Leadership Spokane, and Spokane PRSA.